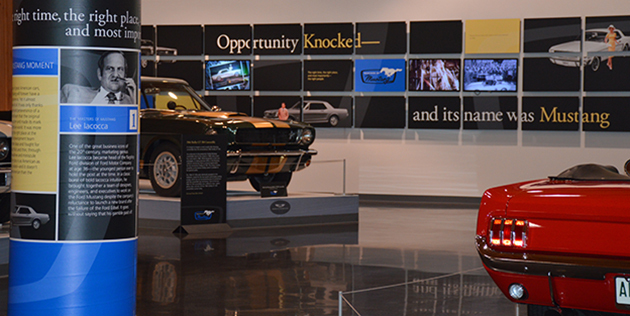 Opportunity Knocked—And Its Name Was Mustang. 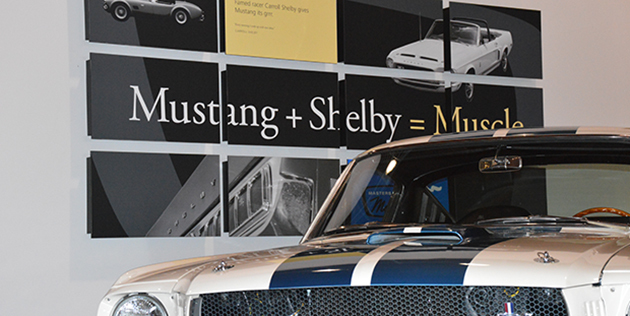 Henry Ford’s adroit quote sums up the character of the Ford Motor Company; “If you think you can do a thing or think you can’t do a thing, you’re right” And “can do” is exactly what the company founded by Mr. Ford did in 1964. 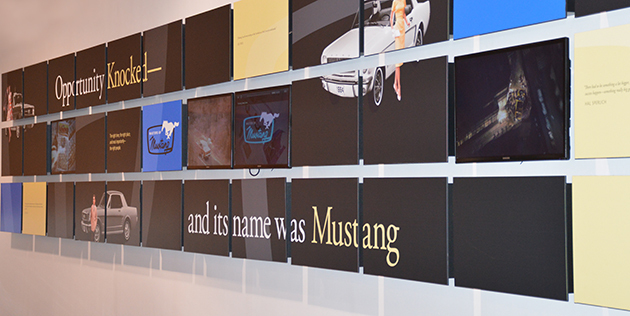 With inspiration from 1950s automobile advertisements from the original Mustang era, Arscentia created an enthralling exhibit that not only featured the iconic cars themselves, but also shed light on the unique personalities of the "Masters of Mustang" and reflected the inspiration and optimism of the time.